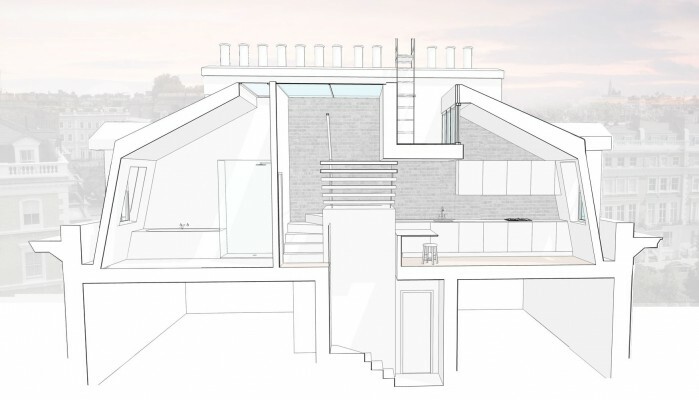 This residential project involves the refurbishment of an existing grade II listed property in Onslow Gardens, South Kensington. 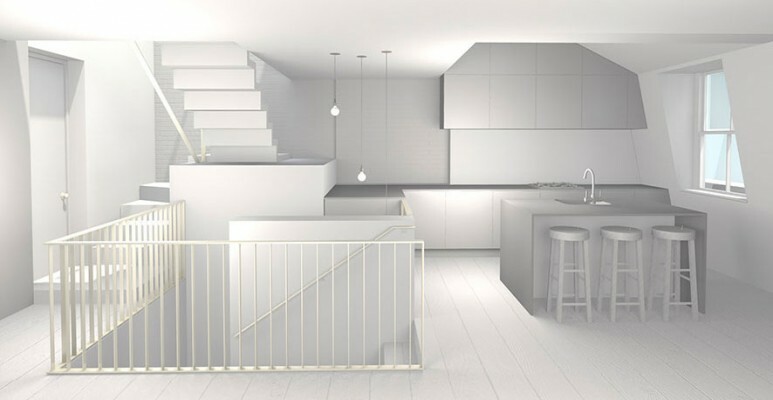 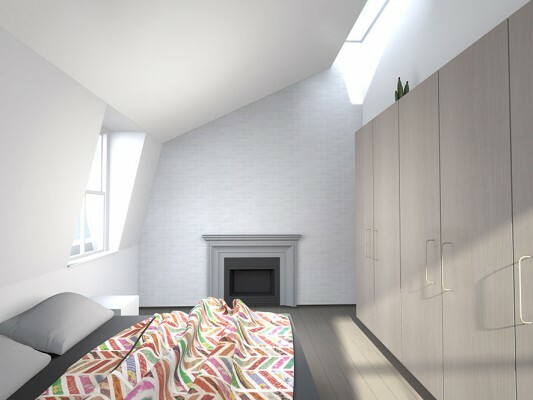 The existing top floor maisonette was poorly converted in the 1980’s creating a series of cramped, dark rooms and connecting hallways occupying a disproportionate amount of floor space. 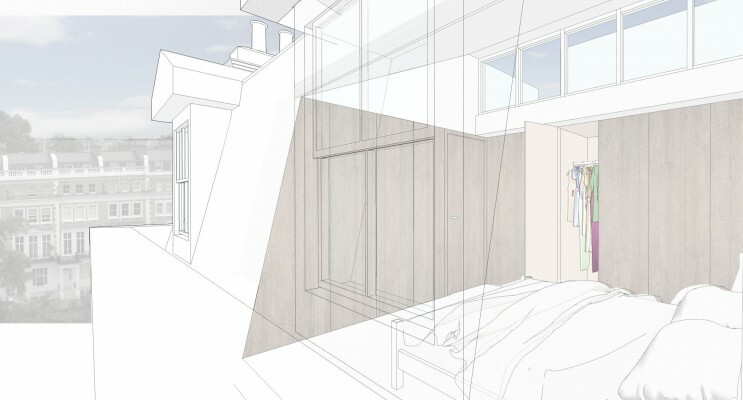 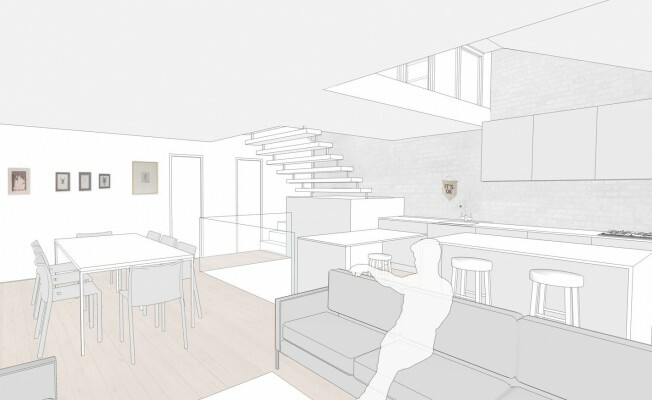 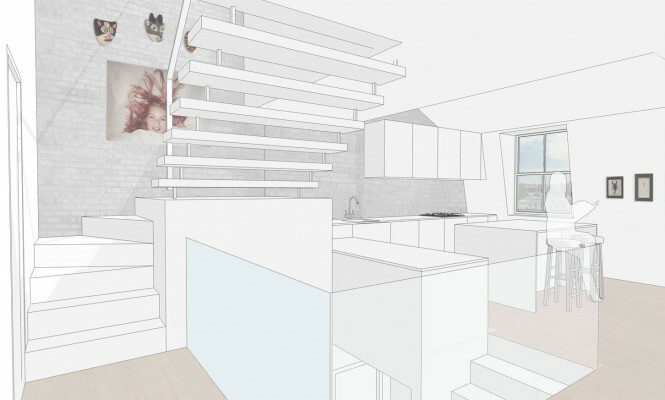 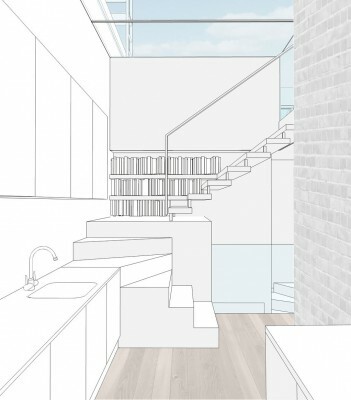 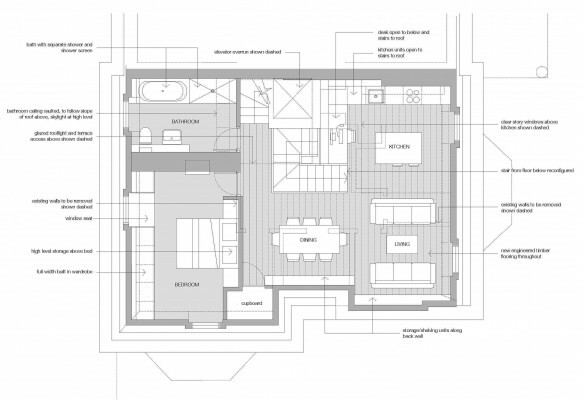 The proposed refurbishment serves to undo this work by creating one large plan living space open to the stair below. 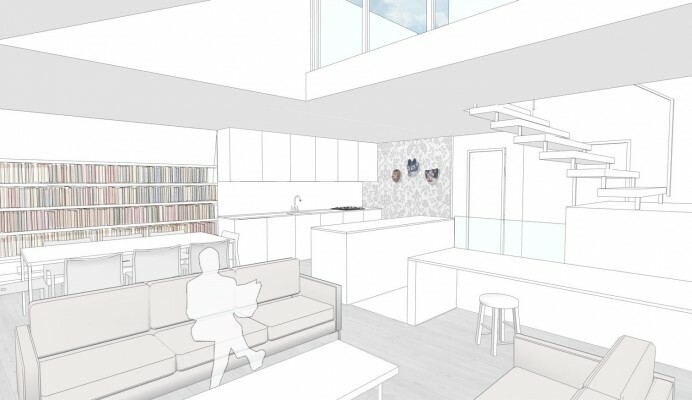 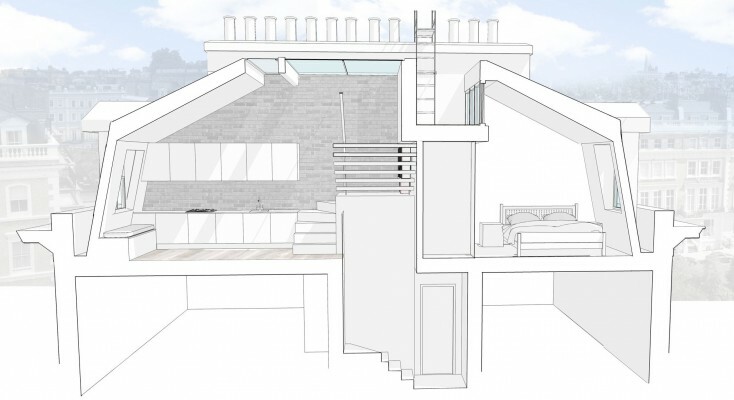 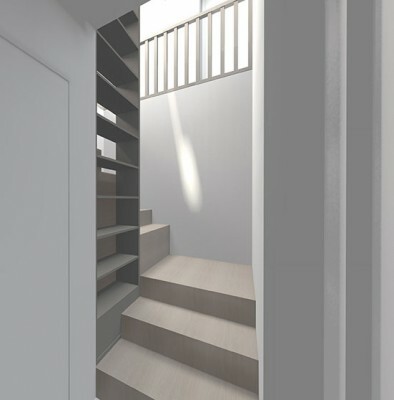 A new glazed lantern and open tread stair provides access to the roof terrace and brings natural daylight to the otherwise dark centre of the flat. 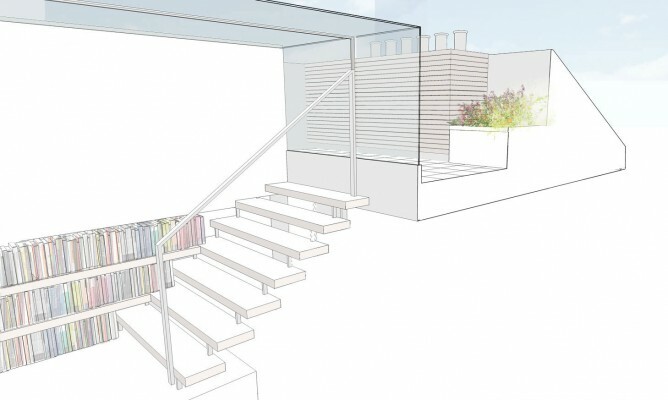 The proposals received positive feedback from the Royal Borough of Kensington and Chelsea with a formal planning application to be submitted shortly.